When it comes to downtown Phoenix’s Hance Park, perhaps it’s time to reconsider that park’s name. I propose an alternative. 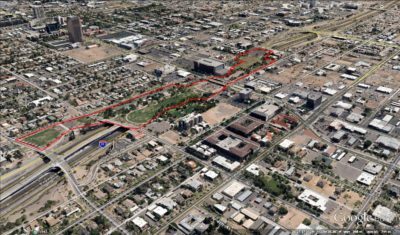 Tonight (Wednesday November 20) is the night in which the community comes together to discuss the future of downtown Phoenix’s Hance Park after the world-class design team put together its introductory report, online here. It’s not every day in which thirty-two acres of space in the central city comes up for consideration. That being said, there are lots of community people and downtown leadership organizations that have taken a keen interest in the goings-on of this process. For the most part, this is a most excellent thing! It’s great to see all of the energy and vitality in the room when we discuss the future of this urban space as well as what urban life in Phoenix will become. While we’re talking about the next design of the park, there’s another piece of the park that should be reconsidered: its name. I have nothing personal against the late Mayor Margaret Taylor Hance (1923-1990), who served as Phoenix’s 52nd mayor from 1976-1983. As Phoenix’s first female mayor, she proved that women could be equally effective in Phoenix’s halls of government. She was a champion of freeways and highways, using her influence with Arizona’s federal representatives to send freeway funding back home. As part of I-10’s construction through the central city, she supported the Arizona Department of Transportation’s desire to demolish thousands of homes leading to the irreparable partitioning of dozens of neighborhoods. She also advocated for dense development outside of the Central Corridor and signed off on the City’s “leapfrog” annexation of lands far removed from the city’s core. In other words, when it came to advancing central city Phoenix, she was not its champion. I am not saying that her legacy is not valuable or something that should be celebrated. It’s just, as it were, historically ironic that a major park in central city Phoenix is named after someone who staked her legacy on suburban development. The park was slated to be called The Deck at Central Avenue; however, it was renamed as Margaret T. Hance Park in 1991 as Mayor Hance passed away in 1990. With a lot of energy and enthusiasm surrounding this park, it’s been argued that Hance Park will be to Phoenix what Central Park is to New York City. It’s certainly an aspirational statement and a call for an extremely high standard of excellence. Let’s look at what other cities call their “central park”: those parks are named after early civic leaders (Loring Park in Minneapolis, named after Charles M. Loring, architect of Minneapolis’s parks system), major natural features (Golden Gate Park in San Francisco), early Presidents (Washington Park in Portland, Oregon), or in commemoration of major events (Millennium Park in Chicago). In Phoenix, we’re talking a lot about place and placemaking. The Roosevelt Row community has created a wonderful sense of identity and placemaking through arts and culture over the past couple of decades. The Roosevelt Neighborhood extends, generally, from Fillmore to McDowell and from Central Avenue to 7th Avenue. We have Roosevelt Point, a new apartment complex at 3rd Street and Roosevelt; we also have Post Roosevelt Square at Central Avenue and Roosevelt Street. These neighborhoods and developments borrow their name from Roosevelt Street, which is named after our 26th President: Theodore Roosevelt. To celebrate place and to celebrate a former President who did a lot of things for a new Arizona and Phoenix, I propose that the new name of Hance Park should be this: Roosevelt Park. In addition to lending his name to a street which has lent its name to the developments and neighborhoods I mentioned, President Roosevelt had many positive contributions to a pre-statehood Arizona. Theodore Roosevelt signed-off on the construction of Roosevelt Dam to the east of Phoenix, which enabled consistent agriculture and development in Phoenix. 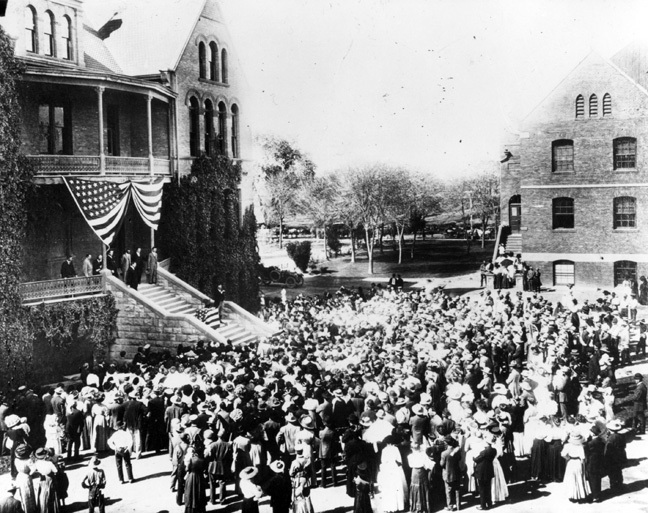 In March 1911, he delivered a speech on the footsteps of the main building of the Tempe Normal School, which is now Old Main at Arizona State University’s Tempe campus. While Arizona became the 48th State under the administration of Roosevelt’s successor (William Howard Taft), the contributions of President Roosevelt to Arizona–and Phoenix–should be commemorated.